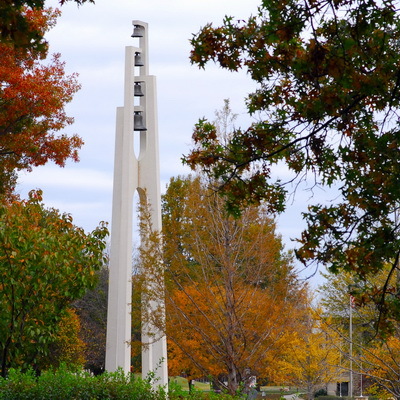 Washburn University currently has four chartered chapters at Washburn University. One chapter, Alpha Kappa Alpha, Sorority Inc. is a member of Multicultural Greek Council (MGC) and participates in Recruitment In-take. Our other three chapters are members of Panhellenic Council and participate in a formal recruitment process that happens every Fall Semester. Washburn University is also supporting a growing Culturally based fraternity and sorority experience, we look forward to chartering new organizations that will report to MGC in the up-coming years. We constantly learn from one another, encourage each other to excel and are always lending a hand to each other so that we may all succeed in our studies. Alpha Phi has a strong academic program that includes awards and incentives for good grades as well as support from sisters. An Alpha Phi can be found in nearly every study, ranging from political science to nursing. Part of what defines the character of each and every one of our sisters is her drive to succeed and fulfill her academic and career goals. Our sisters lead by example and strive for continuous, innovative self-improvement, as well as that of the community. Since her inception, Alpha Phi has been a leader in the Greek community. The founding sisters of Alpha Phi encouraged one another to think, invent and improve. Alpha Phi sisters cherish life-long friendships rooted in kindness, love and respect for one another. We believe in the concept of Watchcare - a tenet of our sisterhood which encourages support of one another through the good times and the bad. This may mean helping one another out with academics or providing much needed support during a difficult time. Alpha Phi sisters support those in need through service and philanthropy; we all share a passion for helping one another and our surrounding communities. The Alpha Phi Foundation is one of the oldest Greek foundations and works to raise awareness and funds specifically for women's heart health. The Alpha Kappa chapter of Delta Gamma represents our foundation by supporting our troops, the blind and visually impaired by serving all year. Every week women from DG play bingo with the elderly at Brewster Place and the VA. We host two philanthropy weeks a year to raise money for Service for Sight and Joining Forces. We attend the annual Blind Walk and Braille Challenge at Kansas State School for the Blind. During the summers, some girls attend Heather's Camp or other camps for visually impaired and blind children. Delta Gamma prides ourselves in taking leadership positions both on and off campus, as well as in the Topeka community. When the Alpha Kappa chapter of Delta Gamma was formed, the members of the chapter consisted of many leaders on campus including members of the KAW and the Review, the Student Council, the Drama Club, the local honorary scholastic fraternity, Tau Delta Pi, and the honorary society for Washburn Women, NONOSO. Currently, we have members of the Review, the Washburn Student Government Association, Campus Activities Board, Student Ambassadors, NONOSO and much more. Delta Gamma actively works toward bettering our chapter as a whole and individually to promote educational and cultural interests. The Alpha Kappa chapter encourages members to seek out opportunities to grow. Women of the chapter have been on mission trips, travelled abroad, hosted women for Ichabods at Night and bring awareness to events regarding diversity and inclusion. The women of Delta Gamma are committed to upholding the highest standards of character, fostering an environment of trust, and treating others with respect. Delta Gamma programs DG Dialogues over the course of an academic year. DG Dialogues represent part of Article II and focus on Friendship, Educational & Cultural Interests, Social Responsibility and Character. Leadership is an integral part of being a true and loyal Zeta Tau Alpha. We offer a wide variety of leadership opportunities to our members, via our programming and executive committees and take pride in our women becoming leaders in other organizations on campus and in the community. We encourage and support our women with resources to help them succeed academically. For example, we have a Zeta Library with resources and used textbooks for women to use throughout their courses. We are proud of our sisters’ tremendous dedication and achievements such as being inducted into national honor societies and continuously improving the overall chapter GPA. ZTA’s national philanthropy is Breast Cancer Education and Awareness. We partner with Bright Pink, American Cancer Society and the National Football League. Throughout the year, our chapter dedicates their time to raise money, create awareness, and serve those who are affected by breast cancer. As a chapter, ZTA’s purpose is to foster and intensify a friendship that will carry women through their college experience and throughout their lifetime. Our sisterhood is one that is conducive to the building up of a purer and nobler womanhood in the world.